The restoration of Leeds City Museum involved the adaptation of Leeds Institute, a Grade II* listed building set in the heart of the City centre for use as Leeds City Museum. External works proposals focused upon the appropriate adaptation of this important historic building whilst providing the facilities expected of a contemporary Museum. This included the provision of access for all to the main entrance, which was originally served by a substantial flight of stone steps. 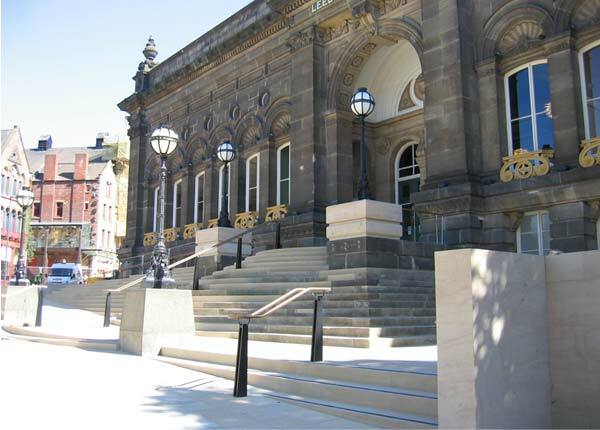 The existing main entrance stone steps and lighting plinths were reconstructed in their original formation but relocated to suit the introduction of the inclined approach route and new steps which tapered into the adjacent paving, successfully creating an accessible route to the original main entrance of the Museum. 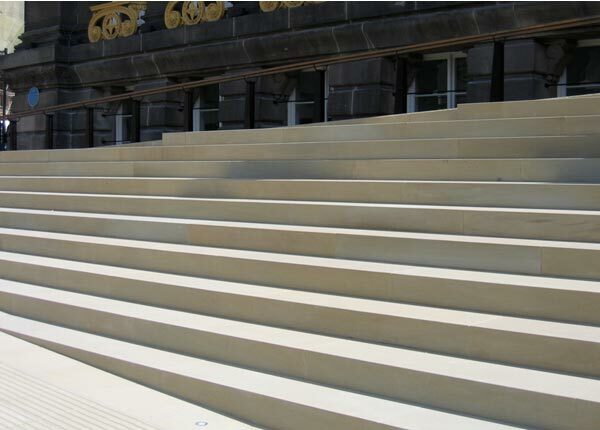 A key feature was the meeting of the new York stone steps with the original relocated steps. 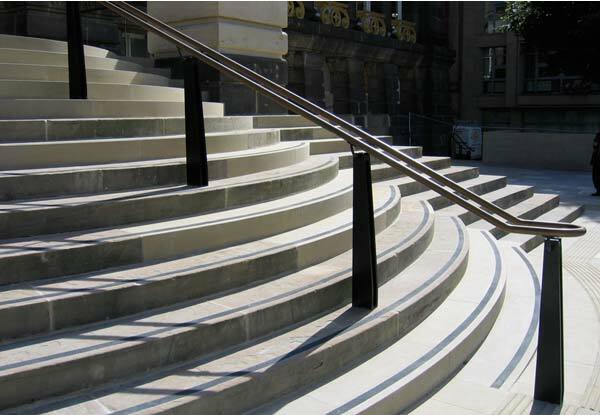 Crosland Hill Hard Yorkstone was specified profiled to match the existing steps. 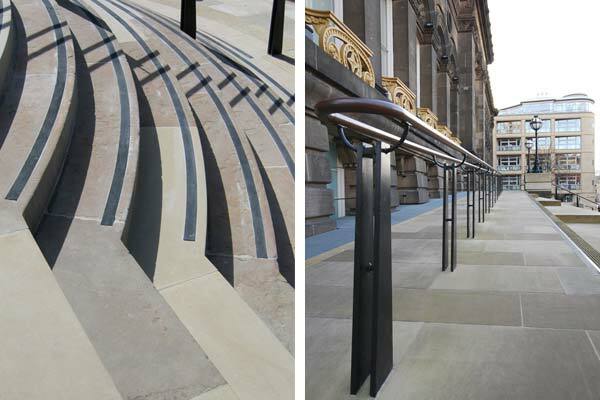 Bronze handrails were specified externally to compliment the exisiting metalwork to the facade. Carolyn Willitts was the project landscape architect and implemented the project on site.